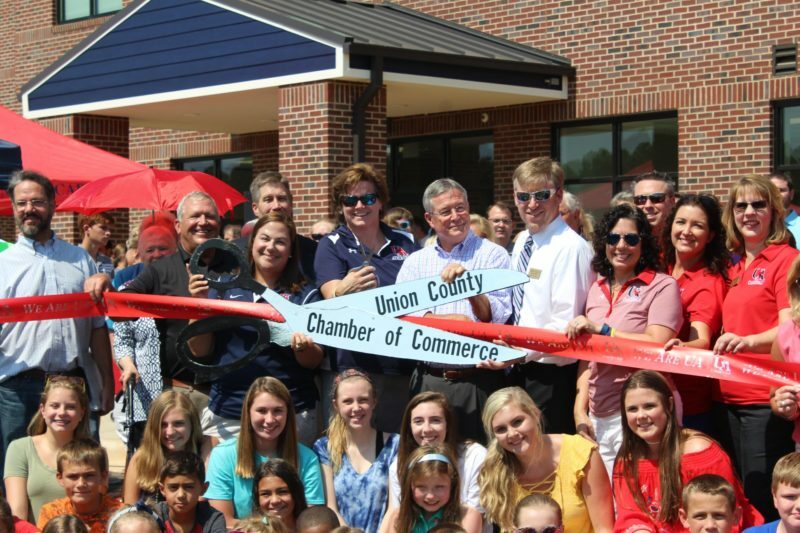 Great things are happening at Union Academy and it’s all thanks to you, our generous donors! Over the last several years, we have been raising a lot of money from the Auction, Oyster Roast, the We Are UA Appeal, Dress Down and Letter Writing Campaigns. All of those donations were saved so that when the time was right to build, we would be able to start right away so that we can continue to meet the needs of our teachers and, most importantly, our students. Our newest addition, the Administration Building and Lower School, are now complete! Myers & Chapman, Union Academy’s Administrative team and the Union Academy Foundation Board of Directors are now focusing on completing the new gym and starting on the new PLAYGROUND!!! Be on the lookout for more updates as we continue building for tomorrow’s leaders! A special thank you to the building committee for your hard work and many dedicated hours on this project – Terry Kennedy, Buddy Brewer and John Wiggins. Help us complete our athletic facilities!